Nylon table covers are suitable for indoor and outdoor events. They're great for company picnics, banquets, festivals and more. Available in 11 color choices. 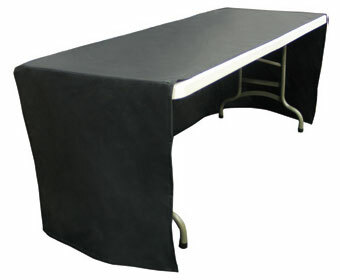 The standard version nylon table covers that cover all four sides. A simple nylon table cover without printing. Portable folding tables ideal for a tabletop display.